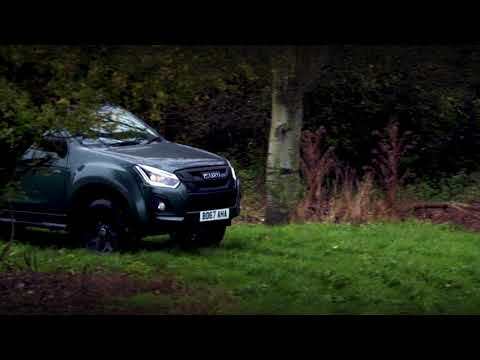 The Isuzu D-Max Huntsman Accessory Pack, available for the Isuzu D-Max Utah, is designed specifically for the professional, dedicated huntsman and countryman. It features lockable, out of sight aluminium drawer system as well as ample bed space for dog boxes or equipment. Outside, it combines form and function to great effect – available in distinctive Tundra Green, Obsidian Grey or Cosmic Black, it not only catches the eye but also blends into the background when necessary; there is no chrome to dazzle or shine. The black 18” alloy wheels with Pirelli All Terrain tyres and high-mounted tow bar allow for excellent ground clearance, meaning the Huntsman Accessory Pack offers incredible capability.